Herbert Molderings is well-known as an expert on the work of Marcel Duchamp, Man Ray, László Moholy-Nagy, and other modern artists. In Addition to his influential work as scholar in art history, he curated numerous exhibitions at renowned museums, such as the Folkwang Museum in Essen, the Centre Pompidou and the Musée d’art moderne de la Ville de Paris (MAMVP). 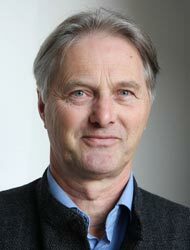 As guest professor and fellow, he pursued his research Projects at the Getty Research Institute, the Hermann von Helmholtz-Centre for Cultural Techniques, the Wissenschaftskolleg zu Berlin and the Centre allemand d’histoire de l’art in Paris. He combines his profound knowledge of photography as a medium with his theoretical and methodical insights from cultural history thus initiating Major paradigm shifts in the research on photography.